The past three months have been extremely busy with me getting back to designing crochet patterns. Posting has been somewhat erratic as the process of getting creative and educational craft posts ready takes a lot of energy. Happily, this will be corrected as the patterns start to become completed to my satisfaction. It's wonderful when life comes full circle - I am back to designing, which is my first love but (with a big sigh!) there's a learning curve once again to be disciplined in my work. 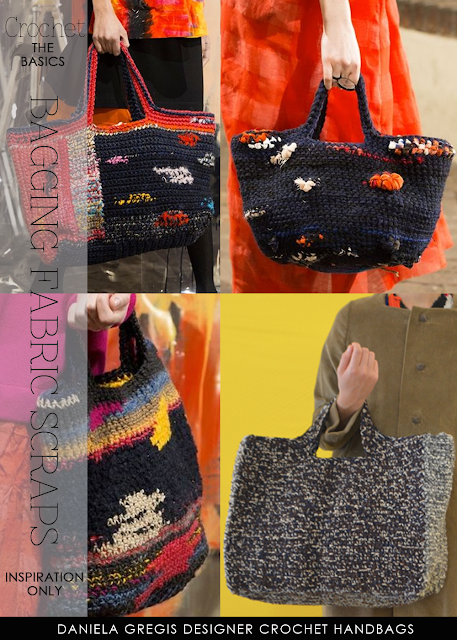 This particular post highlights how I feel about certain designs - Daniela Gregis bags are so creative and colorful, they make you smile. 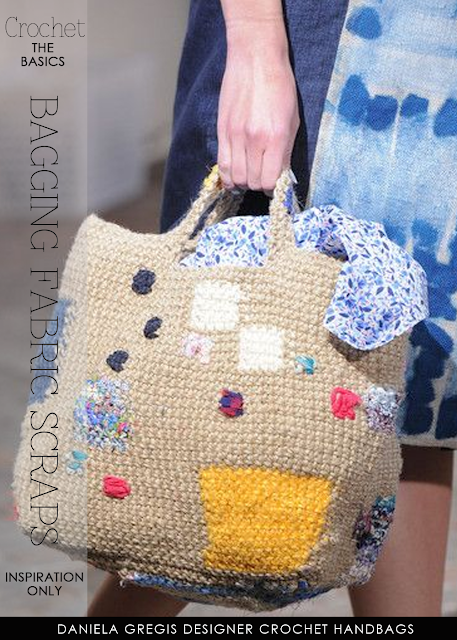 Precious is not a word you would use in describing these bags but make no mistake they are heirlooms. 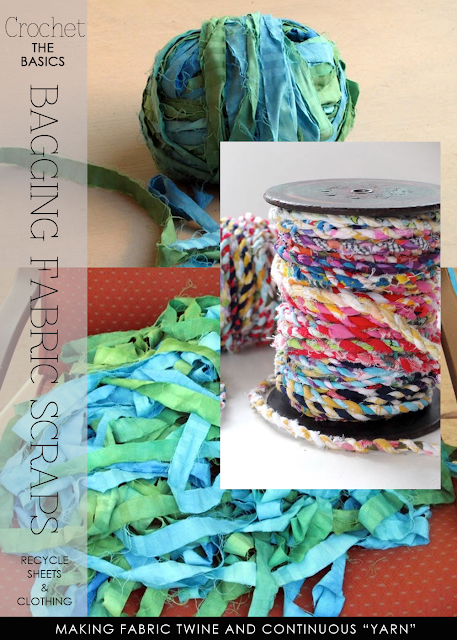 Recycling is definitely something to consider when you decide to make one of these bags- old jean shirts, sheets, fabric you've hoarded. 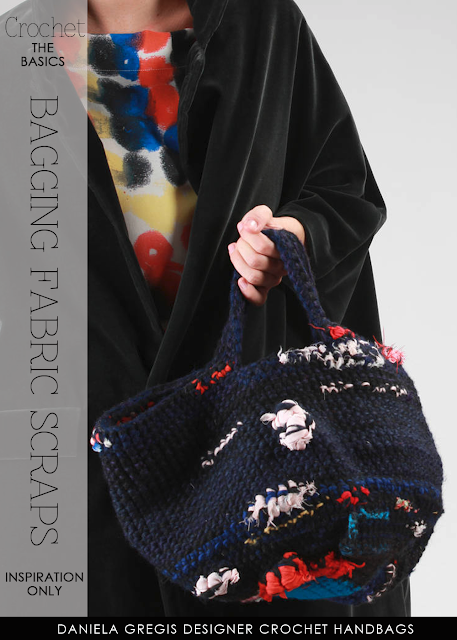 There's no mystery as Gregis uses very basic patterns for these bags. 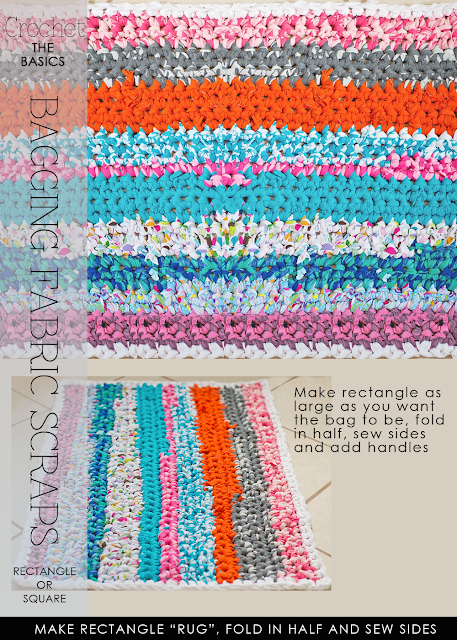 A small crocheted rug or a larger basket can become a special market bag you'll be proud to carry. Read further for inspiration, free patterns for guidance, helpful tutorials and videos to get you started. 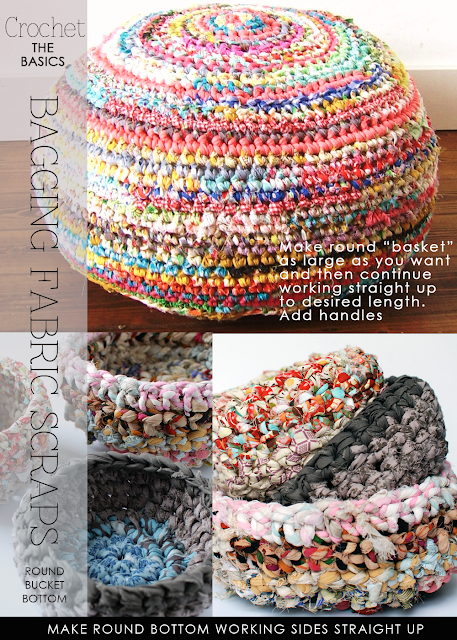 Click on image below for past post featuring round bottom slouch style bags! 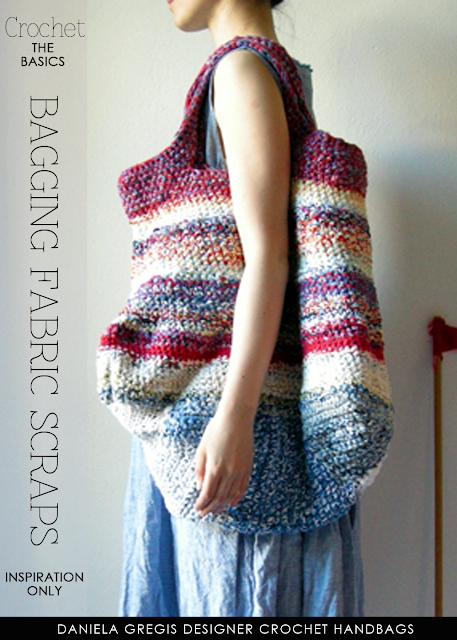 Click on images below for past posts featuring handbag patterns and ideas!